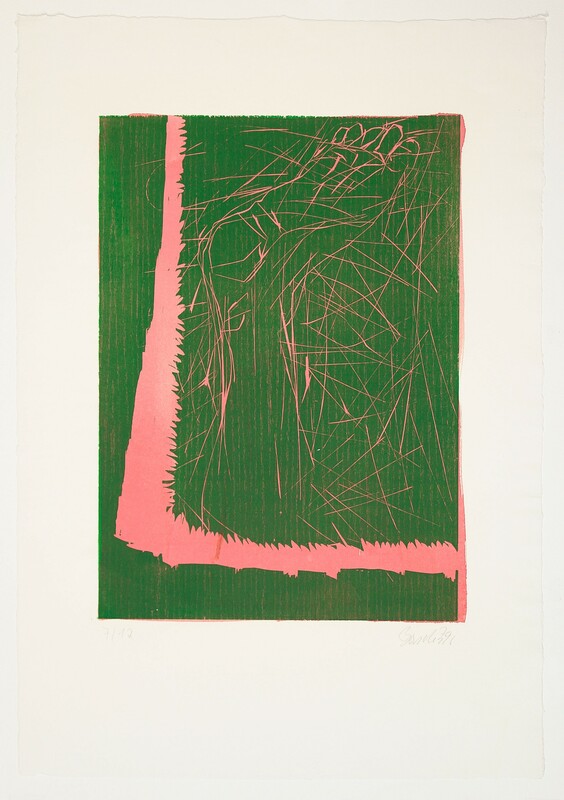 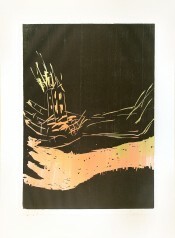 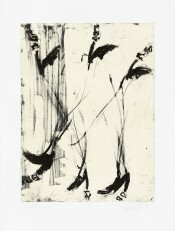 These prints illustrate two of Baselitz' trademarks—his practice of upending subject matter honed in his early Fracture paintings and the artist's use of the traditional woodcut technique. 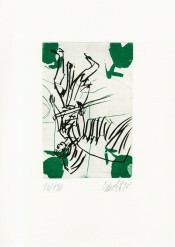 A key figure in the German Neo-Expressionist movement, Baselitz returns to portraying the familiar in abstracted form, an upside down part of the human body—a foot, or indeed a head—being the central focus of each work. 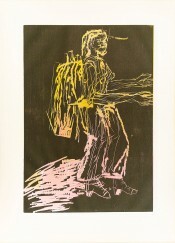 The subject matter is roughly rendered in the bold lines typical of the woodcut which the artist favored for its directness and honesty. As Baselitz once stated, every incision in the wood is visible in the final print, there is no possibility to hide or redo lines, giving the resulting works a distinct sense of immediacy and impact.